Senior Bharatiya Janata Party (BJP) leader Babulal Gaur on Thursday claimed that senior Congress leader Digvijaya Singh offered him to contest upcoming Lok Sabha Elections 2019 from Bhopal on Congress ticket. 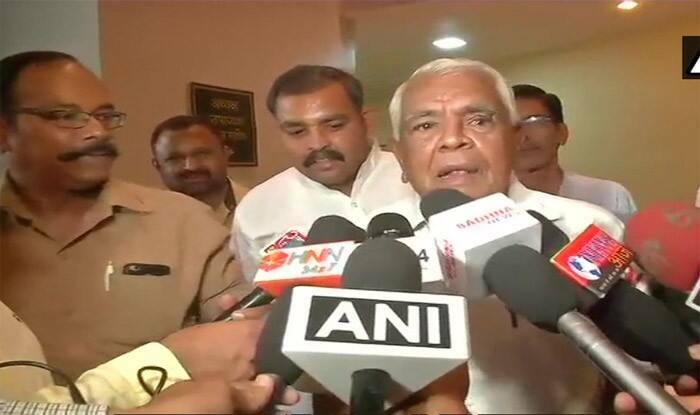 Bhopal: Senior Bharatiya Janata Party (BJP) leader Babulal Gaur on Thursday claimed that senior Congress leader Digvijaya Singh offered him to contest upcoming Lok Sabha Elections 2019 from Bhopal on Congress ticket. “He (Digvijaya Singh) visited me and offered me to contest polls from Bhopal Lok Sabha seat on Congress ticket. I told him I will think about it,” Gaur was quoted as saying by news agency ANI over reports of Singh offering him to join the Congress. The development comes a few days before the Election Commission of India’s announcement on the dates and schedule for the general elections. If reports are to be believed, the polls will be held in 6 to 7 phases. The term of present Lok Sabha ends on June 3. In the recently concluded Madhya Pradesh Assembly Elections 2018, Congress emerged victorious on 114 seats, two short of the magic figure but the party got the support by Bahujan Samaj Party (BSP) and Samajwadi Party (SP). Senior party leader Kamal Nath took oath as the Chief Minister on December 17.